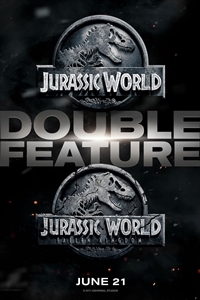 The Jurassic World theme park lets guests experience the thrill of witnessing actual dinosaurs, but something ferocious lurks behind the park's attractions - a genetically modified dinosaur with savage capabilities. When the massive creature escapes, chaos erupts across the island. Now it's up to Owen (Chris Pratt) and Claire (Bryce Dallas Howard) to save the park's tourists from an all-out prehistoric assault.